With campaigns like Farak Padta Hai and Peeke Mat Chala, OLA bagged two golds in the categories, Occasional Marketing and Cause Marketing at the best social media brands SAMMIE awards 2018. One such campaign is ‘Farak Padta Hai.’ It won the gold for the best social media brand for the category- Occasional Marketing. The film was targeted at breaking different societal stereotypes. It portrayed the youth of the country and showed how they are not bogged down by petty societal norms and clichés around gender, religion, sexuality and lifestyle choices and are rather more concerned about bigger problems like congestion and pollution which bothers them every day on road. Every year thousands of riders die due to drink and drive. To build the importance of road safety, OLA came up with a campaign titled Peeke Mat Chala. 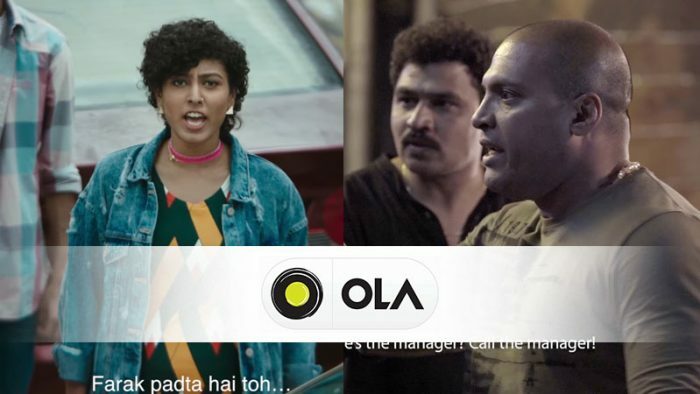 Through the campaign, OLA urged users to never drink and drive by creating a prank video. The campaign won a gold SAMMIE in the special category of Best Use of Cause Marketing and Farak Padta Hai won a gold SAMMIE for Best Use of Social Media for Occasional Marketing.at Best Social Media Brands organized by Social Samosa. Ola also bagged a Gold SAMMIE for Technology – Apps at the awards ceremony.